Emerald: A kidnapped Briton saved in Afganistan...Naija when will this be our story? A kidnapped Briton saved in Afganistan...Naija when will this be our story? 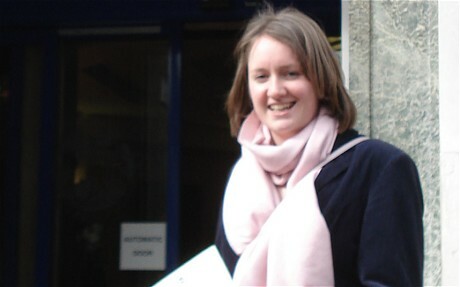 A kidnapped British aid worker Helen Johnston, 28, was freed along with three other hostages - Kenyan national Moragwe Oirer, 26, and two Afghan civilians - in an early morning raid.They had been abducted on May 22 in the northeast province of Badakhshan. David Cameron authorised the rescue on Friday afternoon due to increasing concerns over the safety of Ms Johnston and the other hostages. According to Sky sources, the strike team on the ground during the operation were all British. They were helped by Isaf forces as well the Afghan government, and involved a "long route march" without being discovered.Mr Cameron confirmed all four hostages are safe, no British troops were injured in the raid - and a number of Taliban and hostage-takers were killed. Now, the reason why this story is here is because, twice Nigerian forces have tried to rescue kidnapped foreign nationals and on both occassions, they were killed! What are they doing wrong? Do they need to train more? Get more help? Were they using wrong technique? Whatever the case, we need to get this right, not just to rescue foreign nationals but also citizens that are kidnapped almost daily and their families have to part with millions of Naira in order to ensure their loved ones are handed over alive.